Sometimes I think my friend Sam knows me better than I do. For my birthday last summer, she gave me a gift to satisfy both my baker self and my quinoa-loving self: a generous stash of Shipton Mill‘s new quinoa flour along with a copy of Quinoa: The Everyday Superfood by Patricia Green and Carolyn Hemming. I’d never cooked with quinoa flour, or even knew it existed. But lo and behold, it does (my US friends can find it from Bob’s Red Mill). Quinoa flour is naturally gluten free and, being quinoa, is high in protein, calcium and iron. 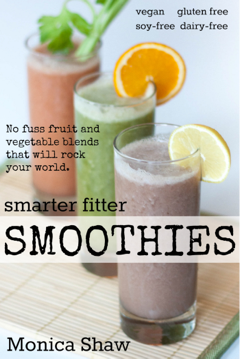 You’ll find that most quinoa flour recipes use half regular wheat flour and half quinoa flour. This is for two reasons: quinoa flour isn’t going to give you the same rise as wheat flour. Also, quinoa flour has a nutty flavour that can be a bit overpowering in most recipes. 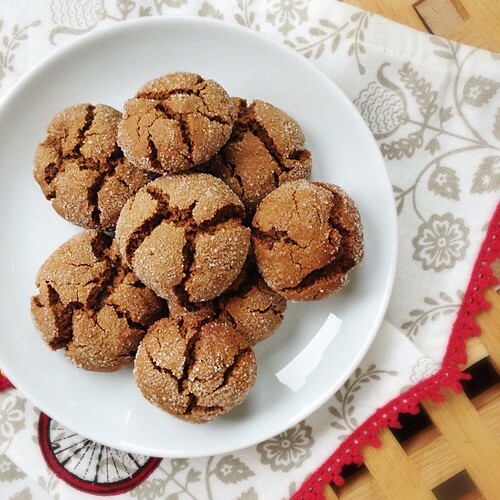 This recipe for quinoa flour cookies from the quinoa cookbook called to me because it is made with 100% quinoa flour and is entirely gluten free. I decided to make them for my gluten-avoiding mom and friends a few weeks ago and alerted them that the cookies were a total experiment and I had no idea how they would be. But I think the results surprised all of us. I can’t say there was any hooting and hollering, but we scarfed almost half the batch in one session. First of all, the cookies, despite being gluten free, rose well in the oven and came out beautifully cracked and delicious looking. And the flavour was just as good. Here, the nuttiness of the quinoa flour works well with the spicy ginger and rich molasses. Colour me a fan of quinoa flour – after making these cookies, quinoa flour became a hallmark of my mom’s visit and I’ve done some more experimenting since (expect a post on quinoa flour soda bread coming soon). And colour me a fan of this cookbook. I look forward to trying more of the recipes – there are some great looking salads, casseroles and even smoothies, all using quinoa in various shapes and guises (whole, sprouted, flour, etc). The authors of the cookbook generously gave me permission to post their recipe on my website. They’re nice ladies. Check out their website and give them a follow on Twitter and Facebook. I have a hard tome finding molasses in the UK so use dark treacle instead which works just as well. 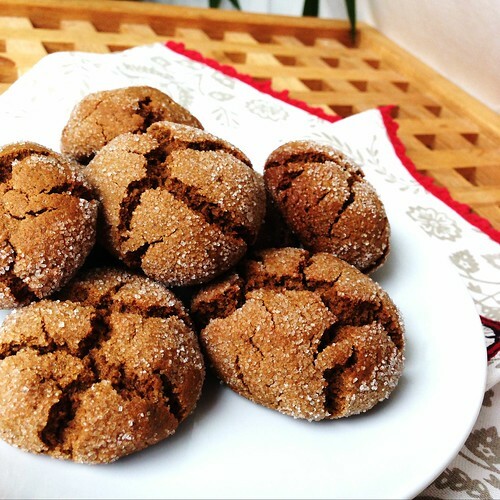 I also think some chopped stem ginger would do well in these cookies. If you try it, let me know! Cream butter and brown sugar in large bowl. Beat in molasses and egg. In another smaller bowl, mix dry ingredients (flour, baking soda, salt, ginger, cinnamon and cloves). Mix flour mixture into butter mixture until combined into a dough. Roll dough into 1 inch balls. Place the cane sugar in a shallow bowl and roll to coat the balls. Place two inches apart on a baking sheet and bake for 8-10 minutes. When they puff up and are lightly browned they’re ready! Let them cool slightly before removing them to cool completely on a rack. I’ve been looking for a quinoa cookie recipe. These look amazing. These cookies not only LOOK amazing – they ARE amazing! Not too sweet, great texture and wonderful spice taste for the fall! Thanks for the recipe! So glad you enjoyed them, Michelle! I just made these. I used coconut oil and golden lakanto instead of brown sugar. First off they look beautiful !! They did not flatten out like most cookies with coconut oil !! I used a mix of red and white quinoa that I put through the blender into flour. Amazing results! Crispy outside chewy inside and flavourful! Positives: I did add grated stem ginger to the recipe and substituted cloves for nutmeg – the spice factor went up about 50% and was super yum! I also froze the dough rolled out between two sheets at an inch thick and made gingerbread people out of this recipe! Drawback: I found the recipe a bit salty – will cut out the salt as the bi carb leaves a lingering taste anyway.